It isn't easy being a museum across the river from some of the best museums in the world, but Queens does have a slew of culture that you'd be silly to dismiss. Probably the best small museum in New York City, the Moving Image Museum is that rare bird that can entertain and educate multiple generations, even teenagers. Manageable in size and fun with interactive exhibits, it's a perfect destination for a family trip of a couple hours. Pros - Excellent events and movie screenings. A must for film buffs on vacation in NYC. Easy subway access. School's out for summer, and art has taken over. PS 1 is a great, small, and eclectic contemporary art museum. 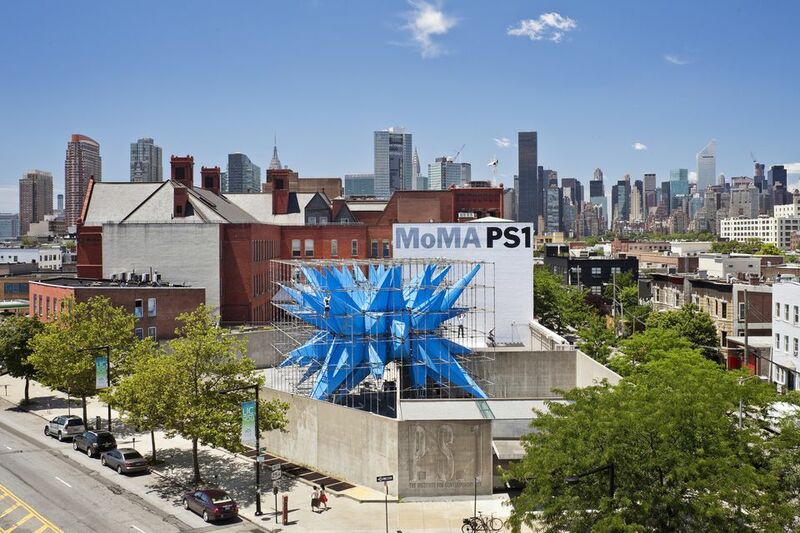 Now an affiliate of MoMA, PS 1 was once an independent center started in a former NYC public school (that's P.S. 1 as in Public School 1). It has retained its edge and helped grow Long Island City into a must-see destination for the arts. The NY Hall of Science in Flushing Meadows-Corona Park is an interactive science museum focused on its audience of children. It has the most hands-on exhibits in an NYC museum, and it's a fun destination for ages 5 and up. Older folks might get a kick out of the NASA rockets outside the museum, but don't bother unless you've got kids in tow. Yes, a farm museum. The Queens County Farm Museum is an actual farm and home to animals your kids can feed, a farm stand, a vineyard making its first vintage of wine, and even the host of the annual Queens County Fair. It's a fun afternoon for younger kids and its frequent weekend festivals can hold the attention of older kids for at least an hour. One caveat before you pack up for a day in the country: it's way out in the sticks....well, Floral Park might extend into Nassau County, but we wouldn't call it the sticks. Maybe the suburbs, but not the sticks. In Flushing Meadows-Corona Park, the Queens Museum of Art is just next to the famous Unisphere. Like that huge orb of steel, the Museum's building dates to a World's Fair, but the 1939 one. Its best exhibits are on the two World's Fairs held in Flushing Meadows, and of course, the Panorama of New York City, a delightful model of all five boroughs (Find your own building if it was built prior to 1992.). The exhibits of contemporary art by local artists and the occasional foray into ethnography can be captivating at best, cloying at worst.